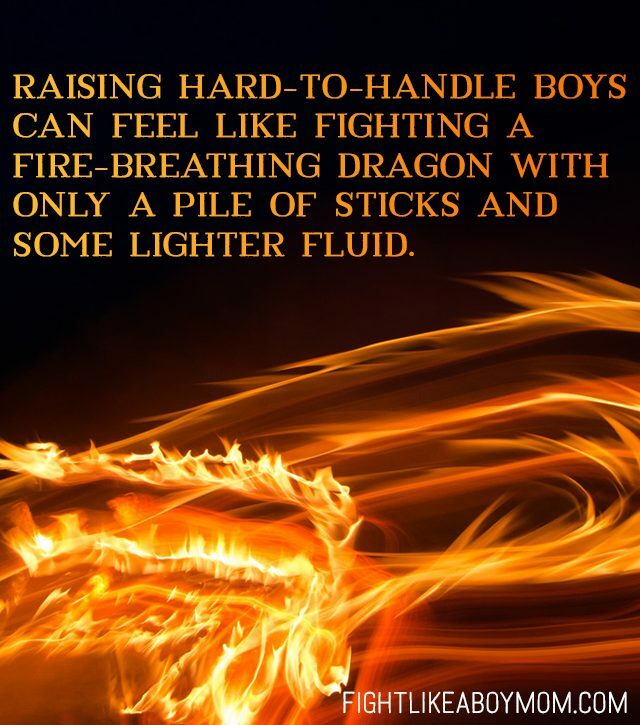 I know raising your hard-to-handle (H2H) boys can feel like an insurmountable task … like some great fire-breathing dragon you’re powerless to control on your own. But there’s good news. You’re not alone! In this chapter there was a great dragon tormenting the people of God. They knew it had to be stopped, but were too scared of the dragon to stand up and fight alone. I’ve cowered, collapsed, hidden, and shaken in terror over the beastly boys in my home. It feels absolutely crazy to me that two humans could cause me such grief, but then that’s part of the problem, right? Their very nature makes me feel out of control, because they are, in fact, harder to control than most boys. But I’ve learned this: Moms are stronger and better able to fight when we’re in the battle together. Everything changed for Little Christian and his friends when they knew Greatheart was there to help them. For the first time they realized they weren’t alone, and that maybe they had the strength to fight the dragon after all. You and me? We’re each other’s people. Who knows better about the great dragon we call hard-to-handle boys than we do? Who knows about the blood, sweat, and tears we’ve poured into these boys than us? And who needs encouragement to get in the game and stay the course more than you and me? That’s why I really don’t want you to miss out on my free video series called Fighting for Those Hard-to-Handle Boys. H2HBoys will provide you with a simple but profound perspective shift that can change the entire tone of your home. Click here to learn more about it, and get started today. Video #1 covers how to help other people handle your hard-to-handle boy. 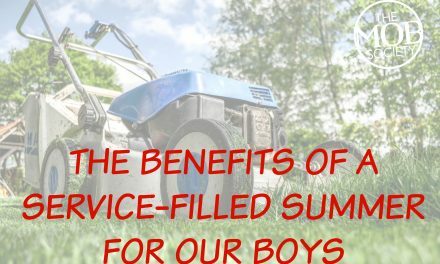 You can access it, AND video #2 (how to keep from losing it when your boys won’t obey) by clicking here to get signed up! I’m with you. You’re not alone. Let’s fight this battle together.